Are you considering switching to Sprint for your mobile phone service? You aren't alone in rethinking your carrier, according to Statista over 25 million people planned to switch carriers in 2017. Nearly half of mobile consumers who switch do so because of cost. Sprint does offer better rates than AT&T, Verizon, and T-Mobile but what if you could get even bigger savings and still have the same nationwide 4G LTE coverage on the Sprint network? If you want to learn how to switch to Sprint without paying Sprint prices, you're in the right place. We're going to let you in on a little industry secret - Mobile Virtual Network Operators (MVNOs). Read on to find out what these are and how they can give you quality, cheaper cell phone service. It's true, the big four carriers hold the vast majority of the cell phone service market. What you might not know is that there is a growing movement in the mobile industry to offer cellular customers more than just a good network. These companies, called MVNOs, offer several major advantages over the dominant carriers. Better prices: Sprint MVNOs give you lower rates for the same great coverage because they don't have the massive overhead and marketing budgets of the big guys. Customized plans: You may have noticed that all four major carriers have morphed their plans into one main offering - unlimited everything. The flaw in this ploy is that most smartphone users barely reach 3 GB of data usage per month. This means you're paying bloated prices for something you don't even use. MVNOs let you decide how much of each feature you need - and pay for. No contracts: All low-cost carriers offer prepaid plans. If you're unhappy you can leave any time you want. BYOP: Bringing your own phone will save you between $10 and $30 per month in pricey device payments (which, incidentally, work as a form of contract, keeping you tied to your expensive carrier). Those are great reasons to switch to a Sprint MVNO, but they aren't the only advantages. Most people find that they get a better, more personalized customer service experience with the smaller companies. Tello's plans are unique in that there are no contracts, no activation fees, and no early termination fees. They are also customizable for light, medium, and sometimes heavy data users. Tello makes a solid alternative carrier for most people since the average smartphone owner only uses about 3 GB of data per month. Twigby is another affordable MVNO with flexible plan options to suit your specific usage needs. This MVNO is especially popular with senior citizens who want a basic no-data plan to accommodate non-smartphones. Pro Tip: Some of these alternative mobile carriers offer new device purchase with financing. This is almost never a good financial decision because the interest rates are very high. You're much better off spending a modest chunk upfront to buy a refurbished smartphone. Some aspects of changing your mobile service are the same regardless of your current provider or device. Choose a carrier. Each Sprint MVNO offers something a little different. Find the one with the prices, plans, and coverage best suited to your mobile usage and budget. The good news for Sprint devotees is that there are quite a few alternative carriers to choose from on the network. You'll find a list of them to check out later in this guide. Choose a plan. The average smartphone user only goes through about 3 - 4.5 GB of data per month. Yet you're likely paying the better part of $100 per month for unlimited data you'll never use. You wouldn't pay for 24 eggs if you only needed 12, right? MVNOs give you customization options so that you only pay for what you'll use. Get your phone unlocked. Most alternative cell providers are BYOP (bring your own phone). You can ask your carrier to unlock your device for use on another network as long as it's paid off, isn't lost or stolen, and you're not in the middle of a contract. If you're wondering how to switch from Verizon to the Sprint network, you'll be happy to know that it's quite simple. Verizon and Sprint both operate on the CDMA network. This means that many Verizon phones are compatible with Sprint, allowing you to bring your own device and keep your own number. Not all CDMA phones will work with all CDMA carriers, however, so you'll need to check with your new provider about your specific model. Another great thing about making the switch from Verizon to Sprint is that Verizon does not lock its phones to the carrier. Most of the company's LTE network-capable devices are ready as-is to program to a different carrier. If you want to switch from AT&T to the Sprint network you'll need to check the MVNO's website to see if your phone is compatible. AT&T devices are what's known as GSM rather than CDMA. Some newer LTE smartphones and iPhones are cross-compatible but it depends on the model and the carrier. Say, for example, you want to bring your AT&T iPhone 6 or iPhone 6s. These both have GSM and CDMA capability, making it possible to turn your AT&T device into a Sprint iPhone. Apple iPhone 7 and iPhone 7 Plus, however, are network specific. Pro Tip: You can sell your old phone for cash and then use our comparison tool to find the best price on a used or refurbished phone. Time for a cheaper cell phone plan? Unlock your device. If you are bringing one of the above devices to your new carrier you will first need to request an unlock code from AT&T (this can be done from their website). Our handy guide on how to unlock a phone explains how to unlock iPhones as well as Android devices. Get a SIM kit. Next, you will request a SIM from the MVNO of your choice. For more information on SIM cards and their properties check out "What is a SIM card?" Choose your plan and follow the instructions. The smaller mobile providers typically give you simple instructions for activating your new service. T-Mobile uses the same GSM technology as AT&T but not necessarily CDMA capable. This means you'll essentially need to follow the same steps for determining device compatibility as I outlined in the AT&T section. If you have one of the devices I listed above in the AT&T section, you may be able to bring your own device to Sprint. If not, it's simple and affordable to buy used cell phones that are compatible with Sprint. It's important to understand all of the details before making a decision. Below I've answered some of the most common questions about switching to a carrier on the Sprint network. How Do You Activate a Sprint MVNO SIM Card? Follow the instructions on the provider's website to get your new SIM card activated. Some companies send the card to you already activated while others do this over the phone with customer service. Can You Take Your Existing Phone to a Sprint MVNO? As I outlined above, it depends. You are more likely to be able to bring your phone if you are currently on the Verizon network, although some AT&T and T-Mobile devices will work as well. Check your chosen carrier's website to see if your device is compatible. Can I Transfer My Phone Number to a Sprint Carrier? Yes, you can. The important thing to remember is not to cancel your current service until the transfer is complete. If you cancel your current cell phone service before the new provider brings your phone number over, your number will no longer be available. Do Sprint MVNOs Have Coverage in My Area? Sprint MVNOs enjoy the same national 4G LTE coverage as Sprint itself. However, if you live in a particularly remote area check the company's coverage map to be sure you can get service in your location. How Do You Port a Phone Number? Your new service provider will tell you how to port your phone number over to your new account. This process is typically very simple and fast. 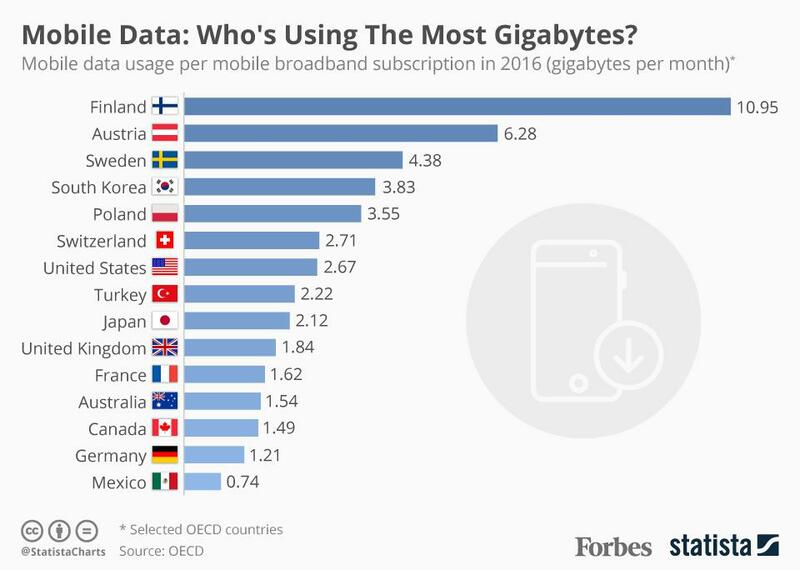 With the rise of these low-cost carriers there's no longer any reason to pay high rates for data and services you'll never use. Sprint MVNOs offer the basics you expect like unlimited talk, text, and data, even international calling options. As intimidating as it can feel to change your cell service, an alternative mobile provider is a solid choice that will put hundreds of dollars back in your pocket. Sprint Flex Plan: Is it Worth It? The Best Sprint Unlimited Data Plans: Are They Worth it?